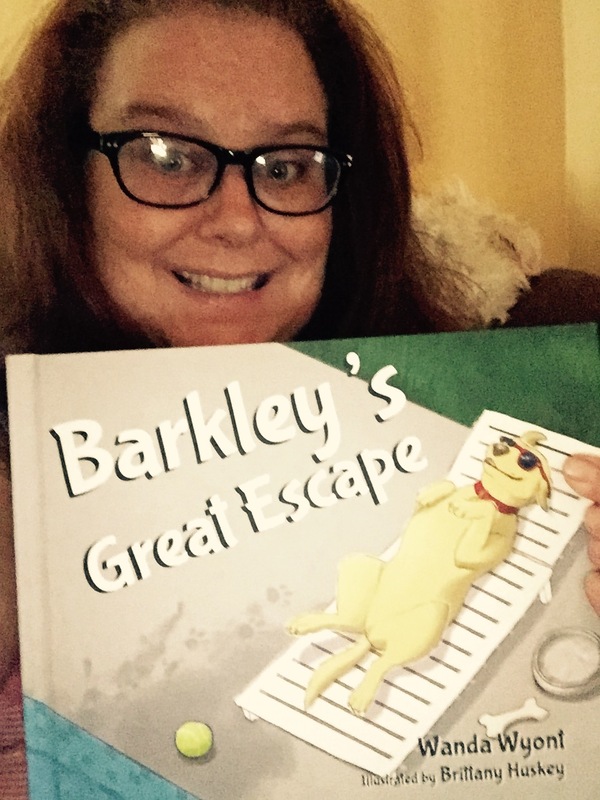 Barkley’s Great Escape is joyful lesson!! An Awesome Children’s Book!! Wanda Wyont is a genius! Not only is her story a wonderfully delightful children’s storybook, but it has lessons to be learned, and even questions to go over when the story ends. I think that Barkley may have more lessons coming…..but, only Wanda Wyont will know that! Barkley is a dog that escapes his back yard and takes a short visit around his neighborhood. It made me think of my dog, when he does something similar….During Barkley’s travels he goes in to a backyard of someone that has a pool, and he jumps in and needs help to get out. This story is too cute, and has a huge lesson for children and parents regarding water safety. I think that this story was genius because of the lesson, and this is a great time of year to grab it. I see teachers wanting to read this story in class…I see parents wanting to get this for their children that love animals and pets. The Illustrations are just as wonderful. I totally see myself reading this to my young nieces and godson! I also know they will want more from Barkley! I highly recommend this children’s book!! What is better than a great story with a water safety lesson as well! Thank you very much for the endorsement and review. I am glad that you liked my new book, Barkley’s Great Escape. The “real” Barkley taught me some valuable lessons. As an educator, I had to write his story as a way to get the word out about water safety to children, parents, and teachers. Again, thank you very much.